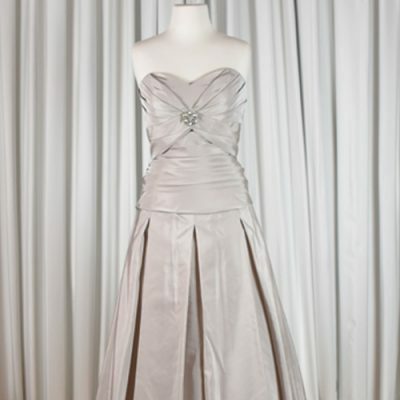 This fine pleated chiffon dress is very simple but incredibly elegant. It has a beautiful fall to the fabric with a glamourous train trailing behind. 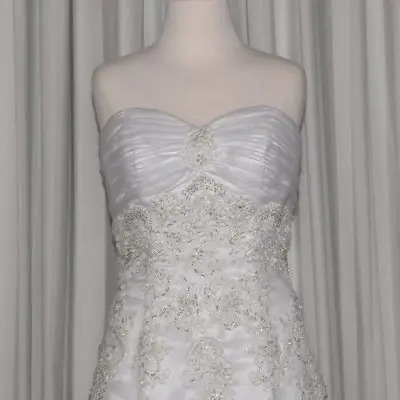 It features an exquisite beaded satin band which enhances the waist and forms a subtle v at the back, in line with the line of the bodice edge and accentuating the train. This gown is brand new and an incredible bargain.